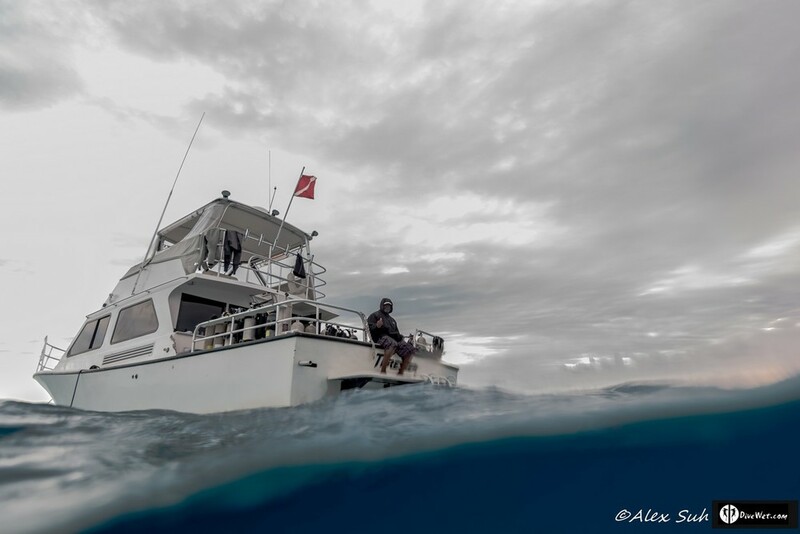 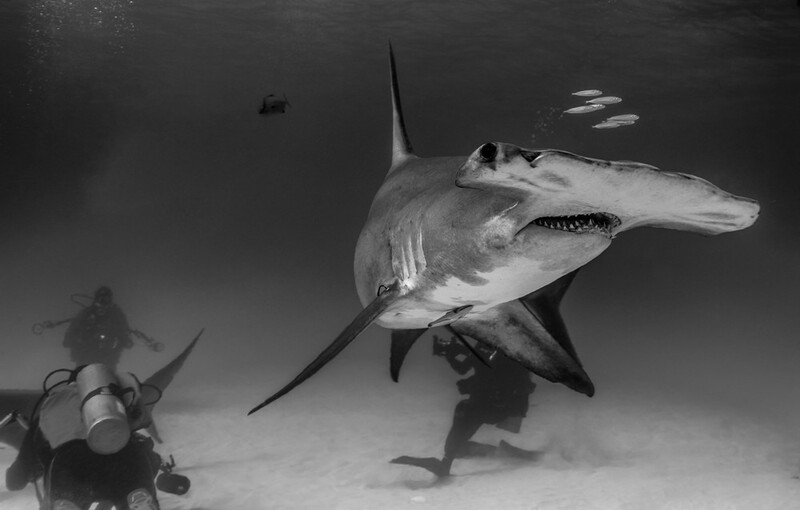 I took these photos on a Great Hammerhead Shark expedition dive in Bimini, Bahamas in January 2015. 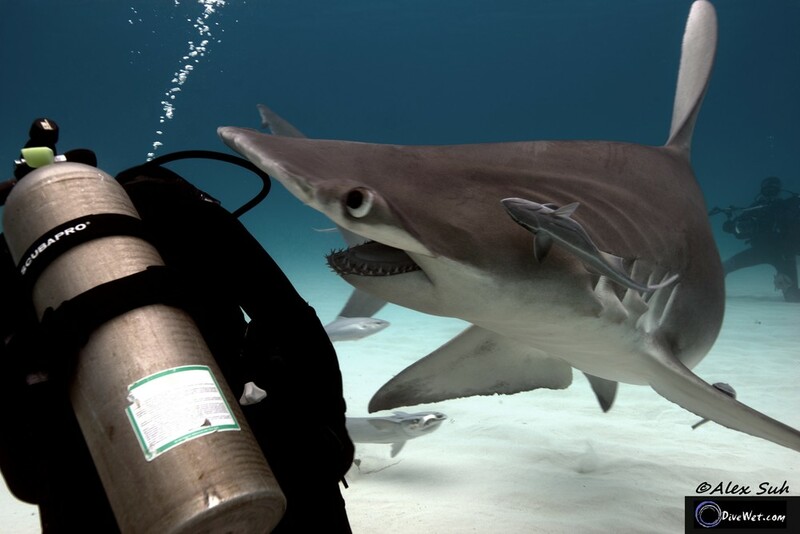 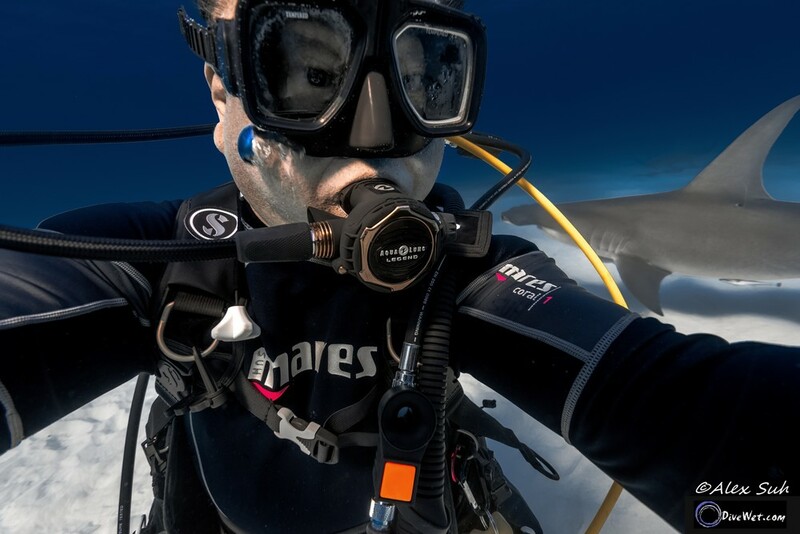 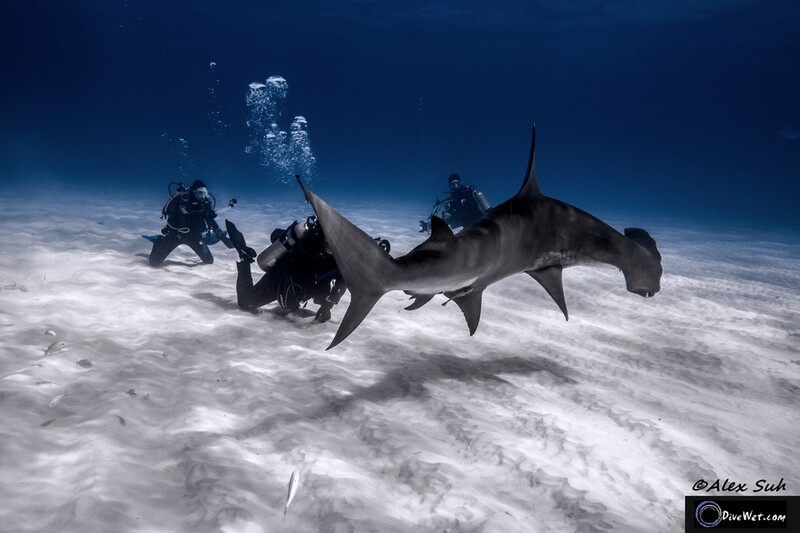 It was a cageless dive, as usual, and it was the first time I dove with the Great Hammerheads. 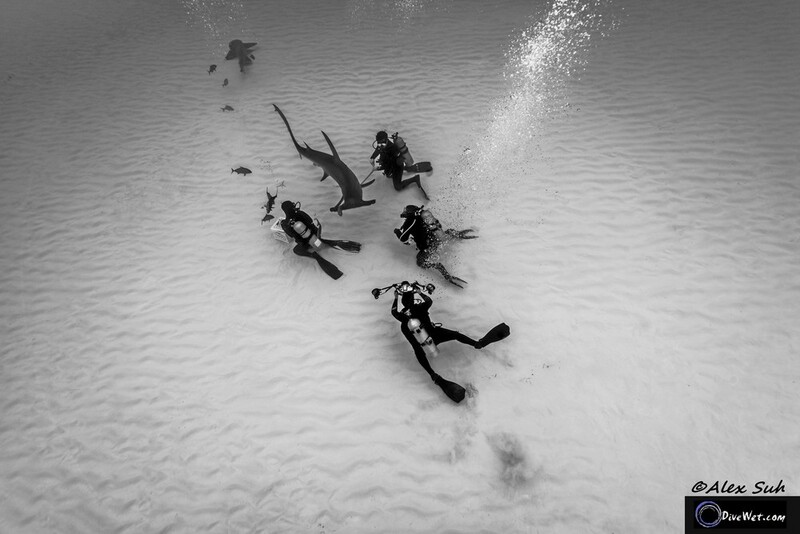 Most all but maybe two of these photos were taken without strobes. 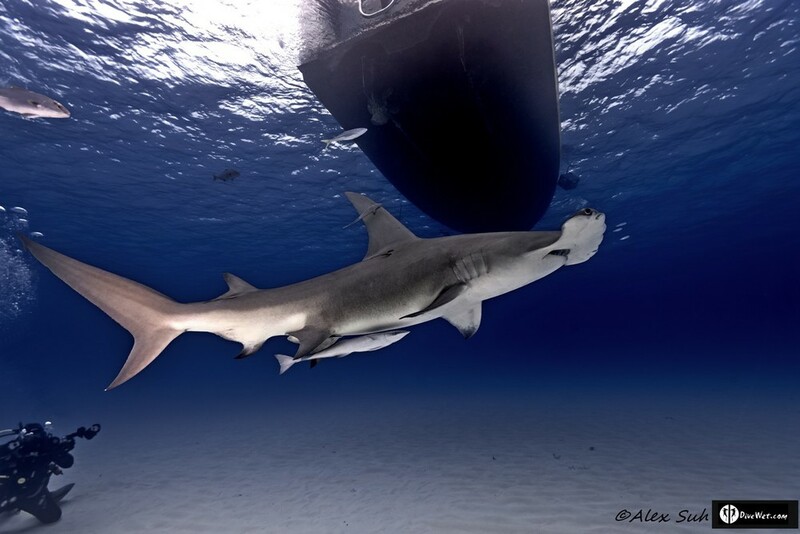 My strobes gave out for some reason during the dive so these photos are not the best but I hope you still enjoy them. 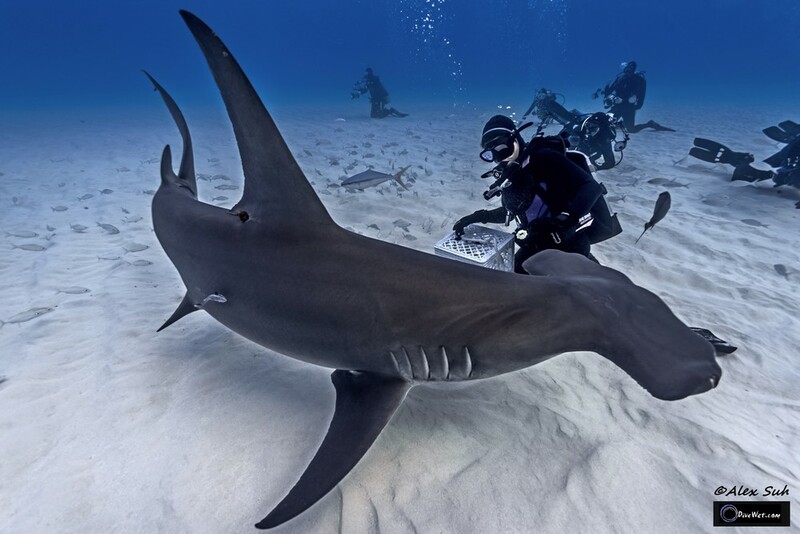 The Great Hammerhead (Sphyrna mokarran) is the largest species of hammerhead shark, belonging to the family Sphyrnidae, attaining a maximum length of 6.1 m (20 ft). 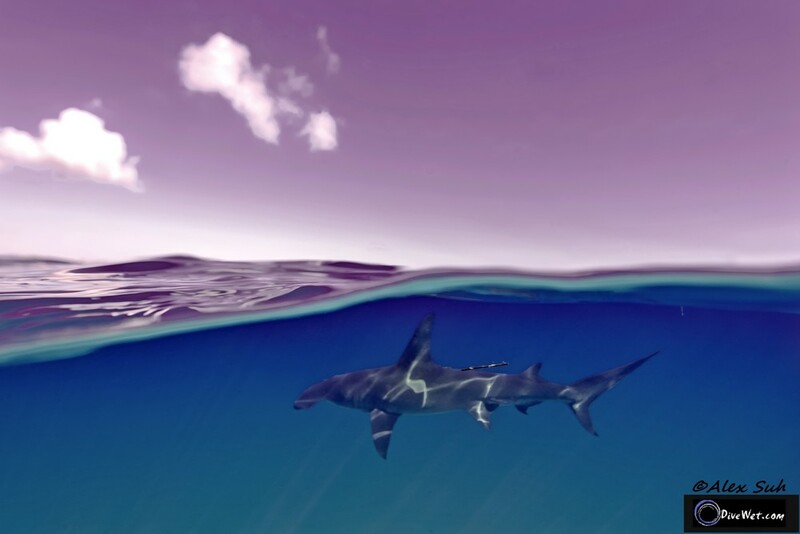 It is found in tropical and warm temperate waters worldwide, inhabiting coastal areas and the continental shelf. 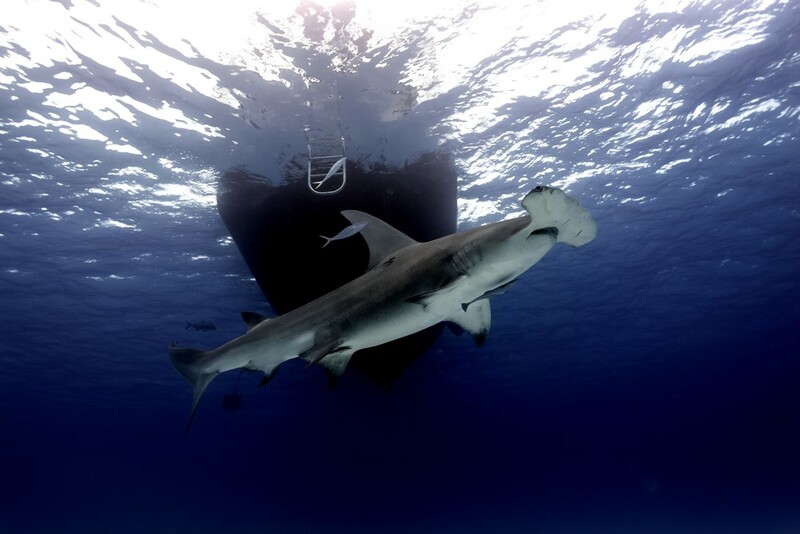 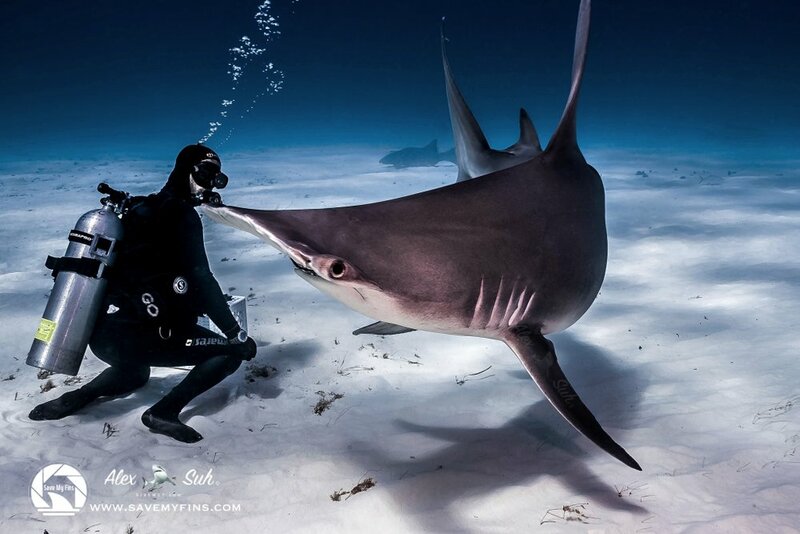 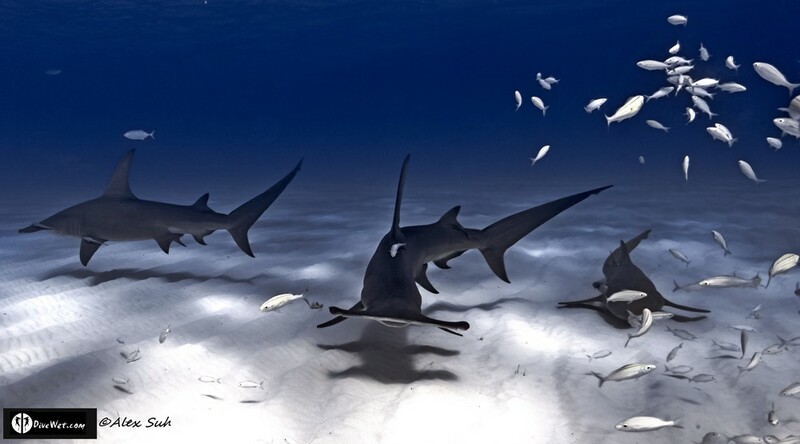 The great hammerhead can be distinguished from other hammerheads by the shape of its "hammer" (called the "cephalofoil"), which is wide with an almost straight front margin, and by its tall, sickle-shaped first dorsal fin. 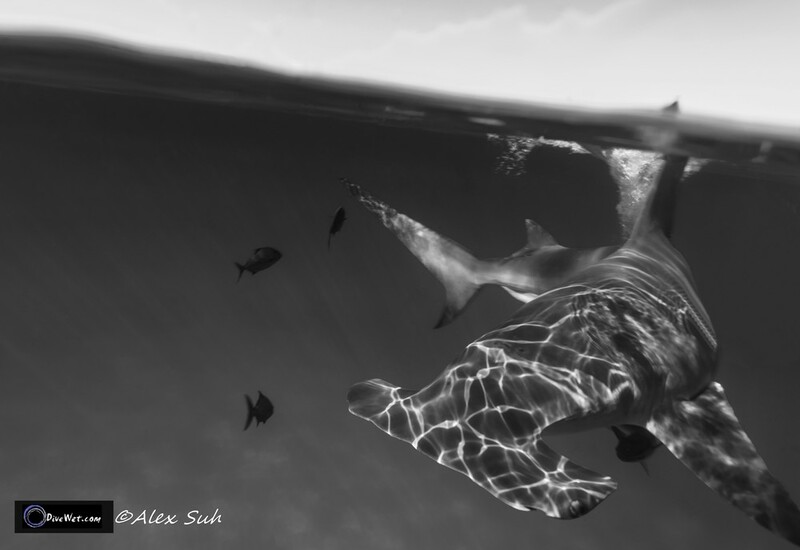 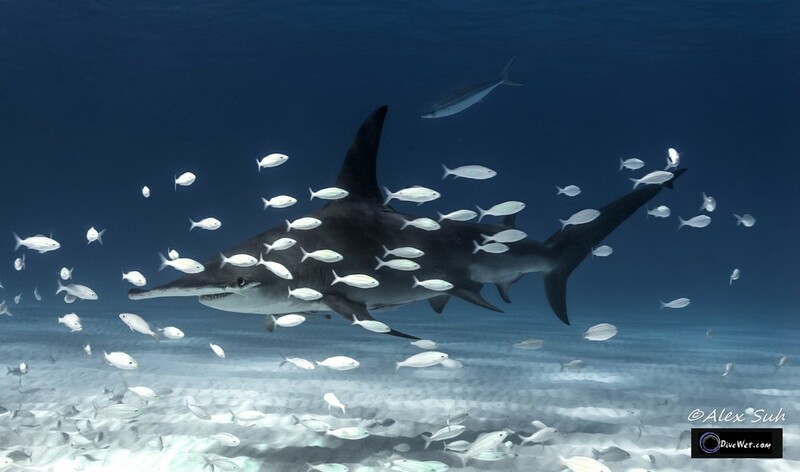 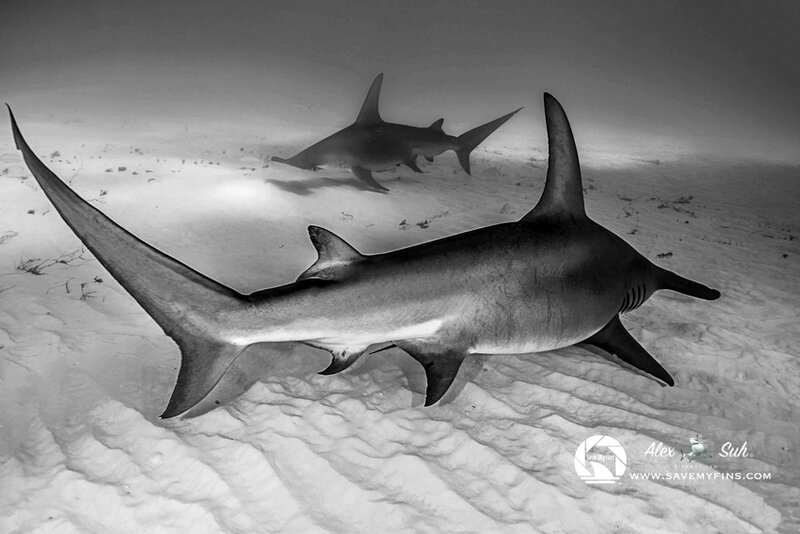 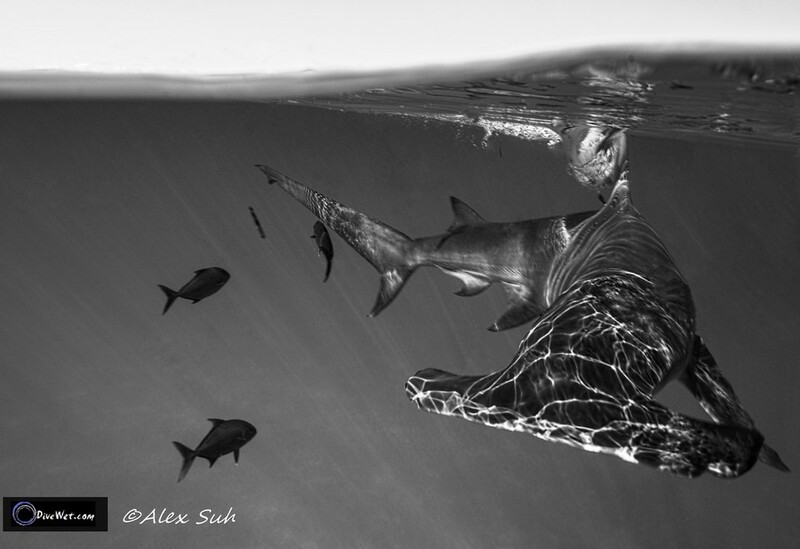 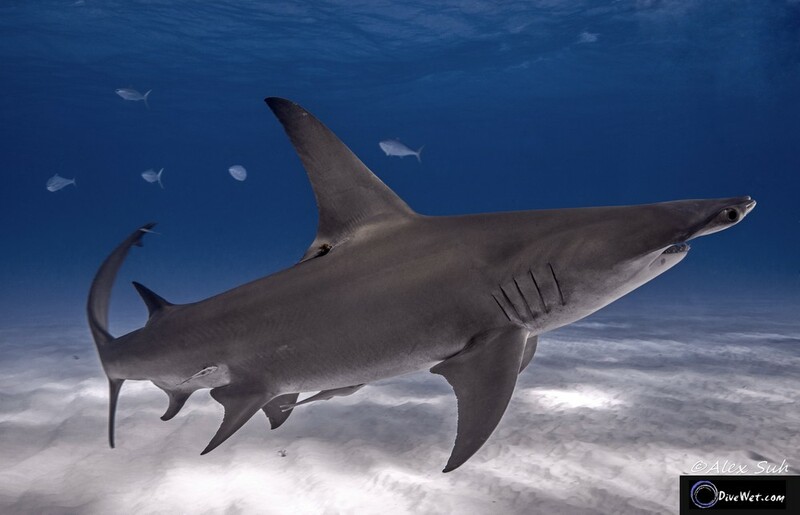 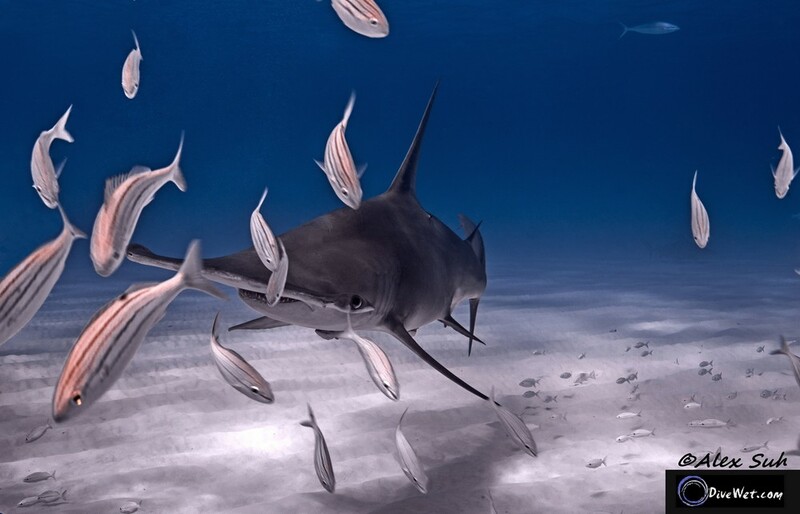 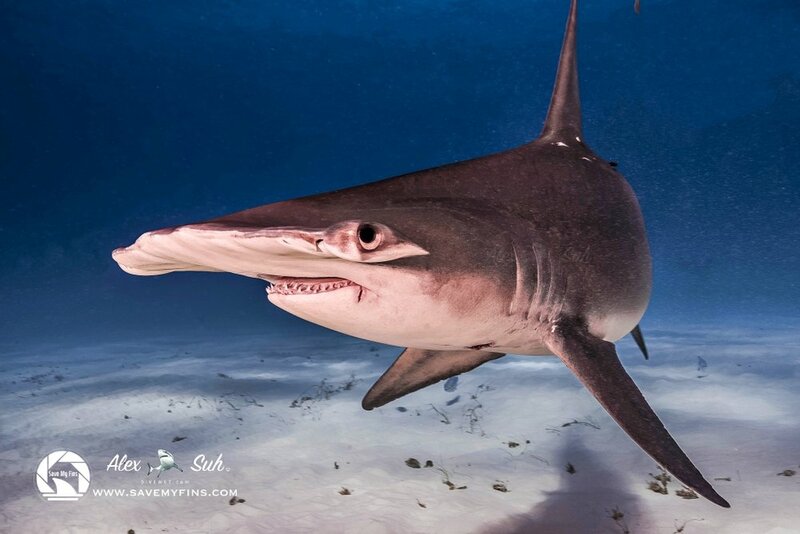 A solitary, strong-swimming apex predator, the great hammerhead feeds on a wide variety of prey ranging from crustaceans and cephalopods, to bony fishes, to smaller sharks. 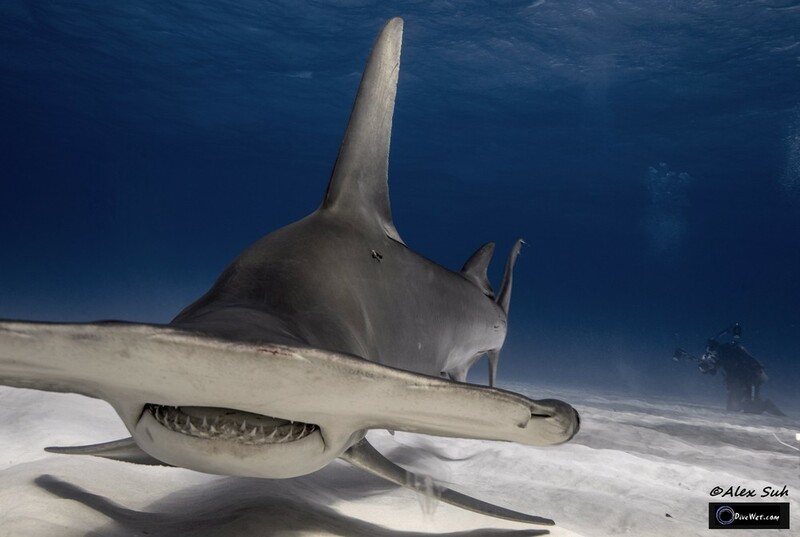 Observations of this species in the wild suggest that the cephalofoil functions to immobilize stingrays, a favored prey. 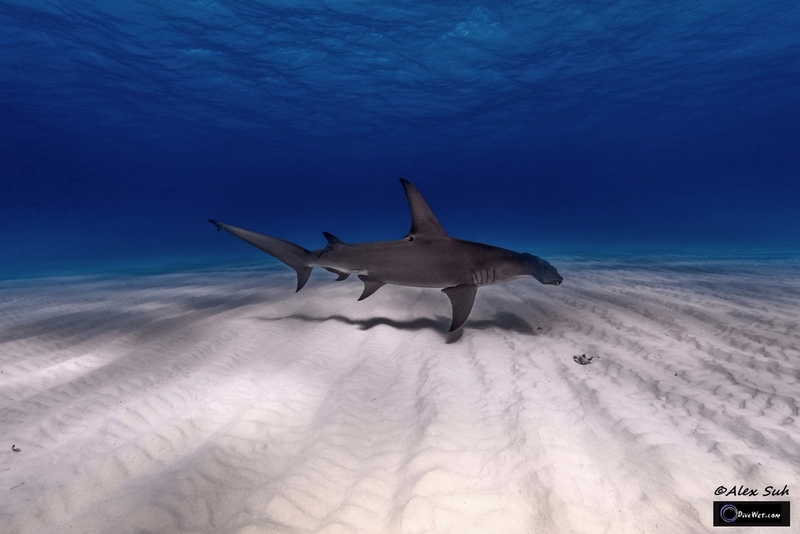 This species has a viviparous mode of reproduction, bearing litters of up to 55 pups every two years.